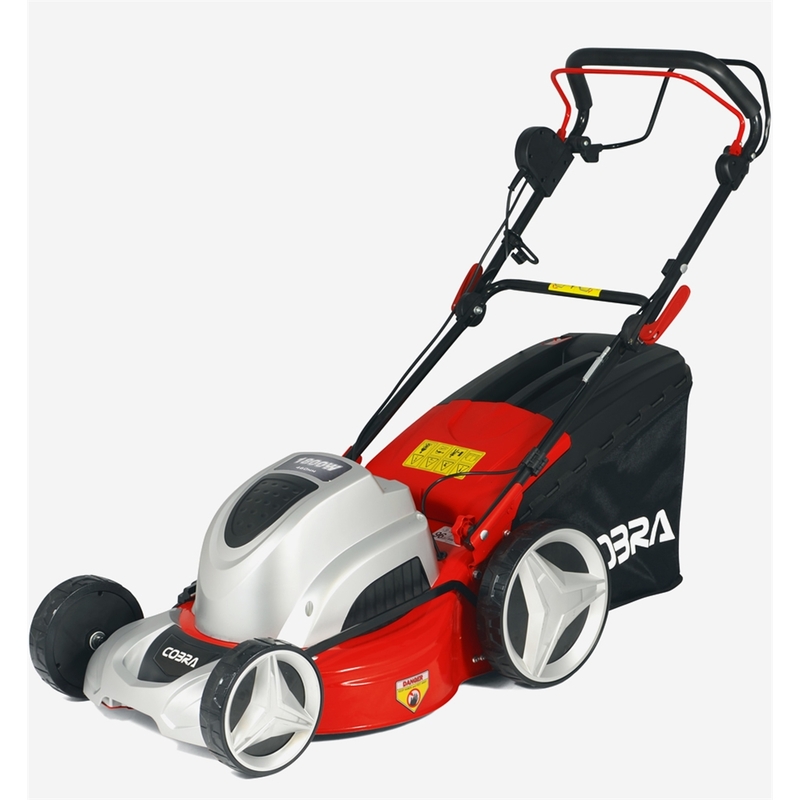 The Cobra MX46SPE is a quality electric 4 in 1 rotary lawnmower which is easy to manoeuvre and with it's self propelled drive system it takes little effort to mow around the garden. It's 4 in 1 system means you can collect, side discharge, rear discharge or mulch the grass clippings. It has a 46cm (18") cutting width and is powered by a powerful 1800 watt motor. It also has a full indicator on its easy to remove viewable 60 litre collection box. It has 7 easily adjustable cutting heights between 25-75mm giving you the choice of how close to cut your lawn. This mower comes with a 15m cable and folding handlebars for easy storage and it is lightweight at only 31kg.